The infamous Trilateral Commission still exists. Many people think the TC, created in 1973 by David Rockefeller is a relic of an older time. Patrick Wood, author of Trilaterals Over Washington, points out there are only 87 members of the Trilateral Commission who live in America. (There were 300 members at that first meeting ­ k) Obama appointed eleven of them to posts in his administration. It was at that first meeting of the Trilateral Commission that 300 people decided that the world had “too much time on their hands and too much money”. Their solution was to force people to have at least two jobs, and women would have to work, to support their families, so that Americans would not have free time “to think” and never quite enough money to live as they wanted to live. 1973 became the benchmark for working people. Every year thereafter the wages of working people fell, while the incomes of the filthy-rich have continued to rise to the obscene-levels they have achieved today. All of this was and is directly traceable directly to the Trilateral Commission and the international criminals that have been running our lives since 1973! The latest addition to their preemptive-strike against the world was added to by the Trans-Pacific-Partnership (TPP). “This is the largest, most potentially damaging agreement since the 1995 establishment of the WTO. And you may never have heard about it before. That’s because the negotiations, which have been underway for three years, are being conducted in extreme secrecy. The public, Congress, and the press are locked out, but the 600 official corporate advisors have access to the negotiating texts. The TPP would also ban existing and future “Buy Local” and “Buy American” procurement policies. These are rules that direct federal and state governments to reinvest our tax dollars to create American jobs by buying domestically made cars, steel, food, and more, and by giving contracts to local construction firms or call centers firms. …As far as health care goes, the TPP would grant new monopoly privileges to Big Pharma that would jack up medicine prices and cut consumers’ access to life-saving medicines in the developing countries involved in the TPP. There is a proposal to allow pharmaceutical firms to challenge the pricing decisions of cost-saving drug formularies, which are used by developing countries and, increasingly, by the United States, to bargain for better prices with drug firms. The most recent addition to the global-explosion of the Matrix was accomplished in front of the whole world, beginning in March of 2011. That was the UN, NATO, USI attack on Libya. This very public genocide of one nation was actually the keystone to the globally-public murder of an entire continent—Africa! Libya was very highly advanced and technically-sophisticated. It had both gold and oil and as such they were the real-impediment to total control over all of Africa which the forces that attacked them represented. Libya was prosperous, debt-free and the leading nation among the nations on the continent of Africa: Aside from being a blood-enemy of Israel. Libya had created a man-made river filled with pristine ice-age water that was being sent to turn the North-African deserts into fertile farmlands that would have changed the face of North Africa. It’s gold was being offered to Africans as backing for the Libyan Dinar as a counter to the Rothschilds banks and would have served as a new global-standard to replace the dollar as the preferred choice when buying or selling oil. Contrary to every international law, the U.N., NATO and the US, France, Britain and others joined forces, to destabilize and to then militarily wipe Libya off the map: In an action that ultimately will lead to the unconditional surrender of the entire continent of Africa—to the one world order: Under the thinly disguised veil of the Obamanati Crime Family. This has created an entirely new crime in the annuals of human history, against the peoples of the world: We have been part of this murder of an entire continent. We the people that have lost our public voice and who have not objected to any of these Crimes against Humanity are about to face the very real consequences that come with crimes of this magnitude! Obamanation, in his continuing part of the now declared war on 32 African nations, plans to use drones to replace our lack of available troops, to bring the continent of Africa to its knees. It is this global-war-crime that is for the most part still invisible to most of the rest of the planet. This must be exposed and stopped along with the outlaws that joined in the slaughter of the nation of Libya. Syria was to have followed Libya, but thanks to Russia, China and others this re-run of injustice and outlaw-invasions of yet another country has been stopped for the moment. The world needs to react to the global-crime we committed when we slaughtered the Libyan people and removed Libya from the map of the free-world. This crime is what has been feeding the Explosion of the Global-Matrix to this point—just as the Obamanati Crime Family is now attempting to illegally force all Americans to purchase fake medical insurance from a program that does not exist. Insurance got its beginnings in the early days of global trading on the high seas. Lloyds of London was begun in a coffee-shop in England to protect the ships that were trading with China in the early days. It was absolutely necessary then to protect investments from being totally lost through misadventures due to pirates or natural disasters. But once ordinary people turned to private-insurance to protect themselves from everyday occurrences: The Insurance-industry became nothing more than criminally sanctioned-extortion wherever “Insurance-Companies” refuse to honor their contracts, as they tend to do today. If you’ve ever tried to get your car-insurance to pay for what they said you were insured against ­ you know exactly what I mean. To fix their public image the Insurance companies began a series of government-partnerships back when that partnership combined their forces to force people in America to buy car-insurance. That was followed by forcing the public to buy and to wear seat-belts, whether they wanted to or not: Supposedly for the good of the people, but this stick-up reaped trillions for the illicit insurance scams. When I was 15 years old, I was hit in a severe car accident. The car I was driving was hit by an eighteen-wheeler from behind and knocked across the opposite lane. I was struck by an oncoming car at 65 mph. The car I was driving was bent into a perfect “S” then flipped into the air where it turned over three times and landed on its top. Inside; a part of the roof was driven down into the center of the driver’s seat that would have gone right through me if I’d been wearing a seat-belt. As it was; the whip-lash produced by the truck gave me a broken neck. I lived because I did not have on a seat belt. That happened in 1956. In the following years I have followed the continuing crimes and extortions of the Insurance industry very closely. Obamacare is an obscenity. Not the least of which has to do with this illegal-government forcing the participation of every man woman and child in the USA—regardless of any preference which any American might have; against participating in this criminally enforced violence against the Constitutional freedom of choice that violates every Americans rights - at its very core. This abhorrent artificial-control was created solely to make more illegal profits for a criminal-industry that is colluding with an outlaw government which seeks to bind every person to a contract that can never be met. All because there is no way that this ‘new-system’ can ever work. Despite what every American will be forced to sign-on-to; Obamacare will never be able to provide services to the public. But it will make billions for both the government & the Insurance industry, while they collude to destroy the population even faster than they’ve been able to do - to date. The glaring fact that doctors will not be making decisions over whether or not anyone gets seen or treated is a massive problem. Those decisions will be made by clowns with no medical training at all. They will decide who lives and who dies by charts that tell them how many people can receive any treatments for anything. The results of this arbitrary practice will sentence millions to death, at the hands of bureaucrats working for insurance companies! This design-of-treatment should never have had anything to do with the practice of medicine at all. It’s the totally despicable Insurance Companies that are to blame, along with their sponsoring Outlaws in this government. This obscenity must be defunded. Its sponsors must be charged with the crimes they have already committed, as well as the intent-to-defraud which they had planned to use against the people of the United States. 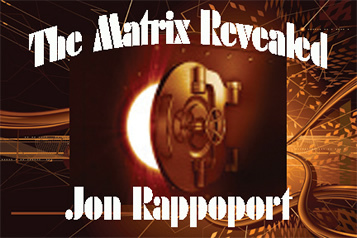 The Matrix has already begun to explode—the only question remaining is whether or not it will take the remaining population of the United States with it, or whether we shall revolt in time to end this false-flag-government permanently for ourselves and our posterity!